This adorable necklace is the perfect fit for adding a fun and fashionable finishing touch to your everydaywear, complete with a dash of Disney flair! 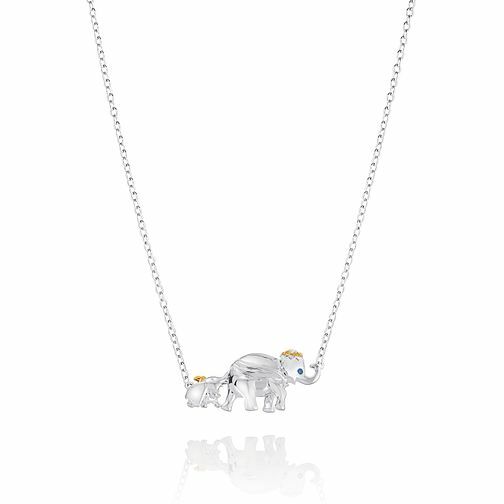 The much-loved character Dumbo is brought to life with his mum in sterling silver, with gold plated hats and a striking arctic blue swarovski zirconia eye. This affectionate accessory is ideal for a special & sentimental gift to any Disney lover.